Yip it’s that time of the year again. Please join us at the Montana Gardens Reptile Expo at the Nelspruit rugby club on 26 and 27 August. 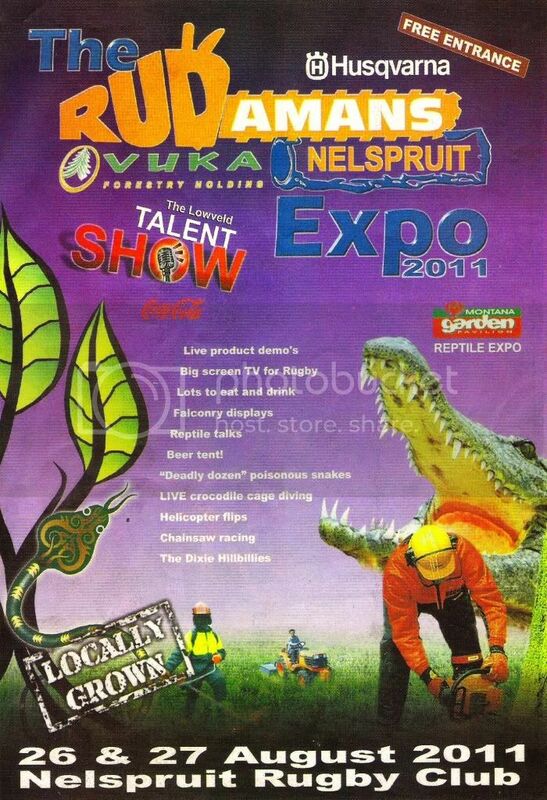 This time it is combined with the Nelspruit Rudamans outdoor expo. So don’t miss out on all the entertainment, products, demos etc. etc. Come have a chat with us at the L.H.A (Lowveld Herpetological Association) and meet Africa's deadly dozen (snakes). Please read poisonous as venomous. Apparently press computers cant process that. Good luck with this, I hope it is a big success! Awesome thanks froot. Will send shortly.